Our range of solar control products will help you control issues with heat, glare, privacy, UV damage and security. Our range of temporary or permanent solutions will help you control dust, temperature, cross contamination, odours and noise. Our range of temporary modular hoarding products will help you to create temporary internal partition walls, site rooms and welfare spaces. 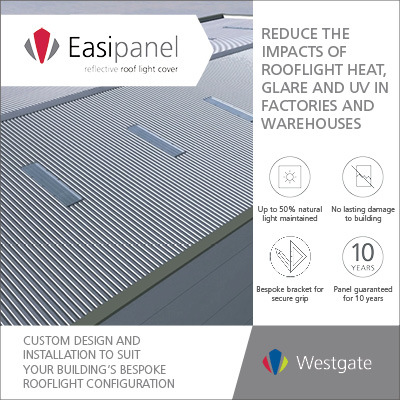 Westgate are market leaders in industrial factory and warehouse partitions, screens and industrial doors; construction and fit out hoarding screens; leisure, education and healthcare window film and blind solutions. Our practical products solve issues with dust, temperature, cross contamination, product segregation, fire resistance, sound reduction and solar control. The innovative range of Westgate products enable fast non-disruptive installation, allowing minimum downtime and maximum flexibility for your developing environment, plus short and long term cost savings when compared to more traditional or conventional methods. 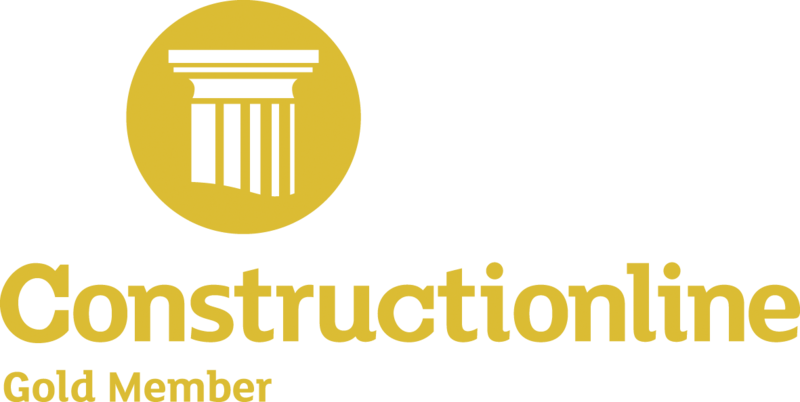 Servicing the UK and Europe, we work with large brands across a wide range of sectors including manufacturing; automotive and aerospace, disposables, pharmaceutical, food, beverage and general manufacturing; warehousing and logistics; construction and fit out including airports, retail, healthcare, education and leisure. Specialising in design, supply and installation since 1977, Westgate have over 40 years’ experience delivering your project from concept to completion, assisting you in your choice from our standard core range or in delivering a custom-made solution to meet the needs of your individual project. FLEXISCREEN | MANUFACTURING: The standards of the installation were first class even on the bespoke areas that were difficult to install. The materials used are also to an extremely high standard, we are very pleased with the work. FLEXIWALL | MANUFACTURING: Just a note of thanks to the guys for a job well done in relocation of the Flexiwall at Houston Dumbarton. The installation team were great to work with and were meticulous and tidy in their work ethic. They are a credit to the company. Thanks again for a job well done. HOARDFAST | FITOUT: Yet again you guys excel in the customer experience. Thank you. HOARDFAST | MANUFACTURING: We ordered a Hoardfast partition, Westgate delivered it promptly. The assembly was easy and the partition fulfils its purpose perfectly. We’ll consider using your products and services again in the future. FLEXICURTAIN | BEVERAGE: Were understanding and flexible on delivering/installing the Flexicurtain after our production demands within the business meant we had to postpone the installation. FLEXIWALL | WAREHOUSE: We have always been slightly dubious about the effectiveness and reliability of curtain walls in the past, but in this instance had no option but to trial the Flexiwall product because of the challenging timescale. Westgate were able to respond to our unique demands and quickly developed and delivered a solution which is working beyond our expectations. We will be talking to Westgate again about other projects in the future. FLEXISCREEN | FOOD: Westgate and their Flexiscreen product for dust control were our first choice when considering the practicalities of relocating a production line. We continue to be impressed with Westgate’s services and expertise from initial contact through to installation. EASIFILM | LEISURE: The installation of window film and blinds are a vital part of our preventative conservation programme, helping us to care for the collection whilst maintaining visitor access. We worked with Westgate and our curator to find the right fabric for both our sun blinds and blackout blinds to ensure they fitted with the aesthetics of the estate. Westgate worked in a professional manner understanding our needs for working within our historic environment. HOARDFAST | FITOUT: Hoardfast; simply a great product! FLEXIWALL | MANUFACTURING: For our new factory, we have been working closely with Westgate regarding a Flexiwall between production and storage. Our aim is to work with contractors from the UK as much as possible and thanks to the team at Westgate we did not have to worry about the turnaround time. DURABLIND | FACILITIES MGMT: The Durablind product is really good and the fitting team were exceptional! HOARDFAST | RETAIL: Extremely impressed by the speed in which the hoarding was erected and dismantled. Also impressed with the attention to amendments to the Hoardfast installation to suit site circumstances. HOARDFAST | MANUFACTURING: Hoardfast is even better in reality than it looks on the website. FLEXIWALL | RETAIL: Pets At Home Ltd – This is the first time we have had a Flexiwall installed and the service and installation was excellent!